Paul Rezendes has produced some exquisite books of photography, a best selling nature field guide, and a semi-autobiographical and philosophical book on nature, both animal and human. He will be happy to sign a personalized copy for you upon request. To order prints, go to the Fine Art Prints page. 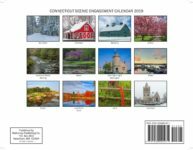 To order books, note cards and calendars, use the ADD TO CART feature to pay via PayPal with a check, credit or debit card. If you prefer to order and pay us directly via check or money order, please contact us via email or call us at 978 249-8810. 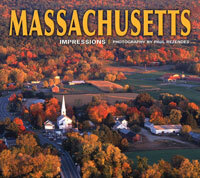 The 100 color photographs in this book showcase some of the most beautiful scenery in Massachusetts–from the stunning Berkshires to winding, boulder-strewn streams, and from pastoral, rolling farmland to lush state forests with their resident flora and fauna. 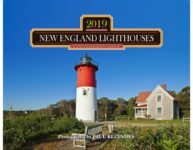 Also highlighted are spectacular views of the coast, with its historic lighthouses and charming seaside communities, as well as photographs depicting the state’s rich history and culture. 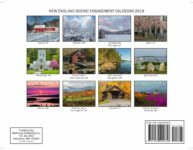 It makes a perfect gift or souvenir for resident and visitor alike! With over 150,000 copies in print, this best-selling field guide is a must for nature lovers everywhere. In this revised and updated edition, renowned nature photographer and animal tracking expert Paul Rezendes brings the fields and forests to life with his unique observations on North American wildlife and their tracks and signs. Illustrated with hundreds of his original color and black and white photographs, this book provides complete information on the behavior and habitat of over 50 animal species and shows you how to identify animals by their tracks, trail patterns, droppings, dens, scratches and other signs. Master tracker Paul Rezendes has followed bobcat through impenetrable swamps, wrestled a black bear in the Adirondack wilderness, and howled with coyotes at the edge of a moonlit field. Tracking an animal in this way brings deep knowledge of its secrets and its inner world, and Rezendes’ spellbinding adventures have given him provocative insights into our essential relationship with nature – and ourselves. 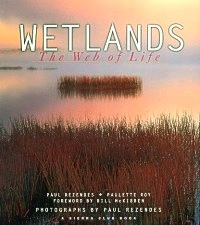 Paul’s first and most significant book of photographs is Wetlands: The Web of Life coauthored with his wife, Paulette Roy. A coffee table book filled with more than 120 gorgeous vivid color photographs of America’s wetlands with accompanying inspirational text, this book is a celebration – a plea for understanding and preservation – of these unique and irreplaceable meeting places of life. Published by Sierra Club as part of their wetlands initiative, a copy of the book was presented to then Vice-President Al Gore and each member of congress to heighten awareness of the need to preserve and protect our nation’s fragile and imperiled wetlands. Out-of-print. To search for existing copies, click here. In addition to their function as beacons of guidance and safety, lighthouses have captured the imagination of people through the ages. 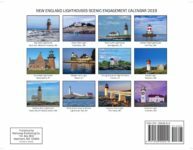 Enjoy 12 unique architectural gems in this collection of New England lighthouses from Paul Rezendes. 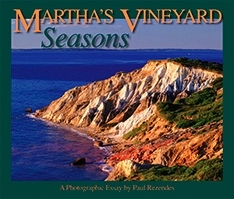 Paul Rezendes photos portray the charm and beauty of New England in all its seasonal glory, with its snow-covered landscapes, spring blossoms, summer seacoasts, rural farmlands, and the splendor of autumn’s brilliant colors. 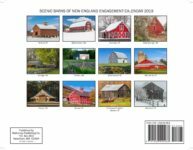 For many, barns have come to symbolize the simplicity and hard work of rural life. 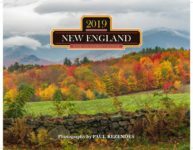 Travel along New England’s backroads with Paul Rezendes, and enjoy a variety of shapes, sizes and styles of these beautiful yet functional structures. 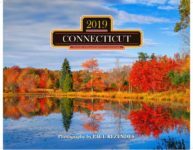 Visit Connecticut, often referred to as the Constitution State or the Nutmeg State, through 12 colorful photographs by Paul Rezendes. 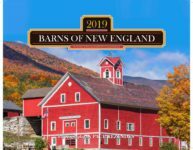 Experience the richness and diversity the state has to offer through the seasons, with its picturesque farms, harbors, lighthouses, flowered landscapes, and colorful waterways.